Sarah Irving/The Electronic Intifada As he prepared for the opening of his exhibition Al-Nakba Memorial: Palestinian Memories of Displacement, architect Omar Mohammad had to ask for extra room from the University of Edinburgh. The walls were filled up with two-dimensional representations of his vision of a vast monument, while all available table space was covered by scale models depicting buildings and landscapes. For Mohammad, this is far from a theoretical project. The son of refugees from the village of Jahula in the Galilee region of historic Palestine, he grew up in Damascus. These origins have clearly influenced Mohammad’s academic and architectural work. His doctoral research at Edinburgh has focused on the idea of the “anti-memorial” or “counter-monument,” what he refers to as a “memorial with flexibility, with evolvement, with change” — a means of remembering the past which also recognizes its shifting political and social meanings and the changing ways in which people relate to their history. The physical embodiment of Mohammad’s ideas, though, has developed into his ambitious architectural vision for a “Nakba memorial” — to honor those killed and uprooted in the ethnic cleansing ahead of Israel’s foundation in 1948. 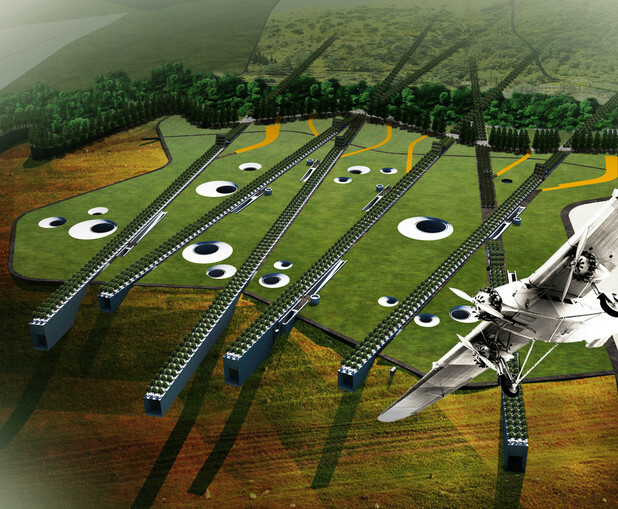 His blueprint for the memorial was unveiled in a public exhibition in Edinburgh this week. Mohammad sees these avenues as representing the routes which Palestinian refugees took from their homes to six places — Lebanon, Syria, Jordan, Egypt, across the Mediterranean Sea and to points within Palestine. Lifting of land Both physically and historically, these routes of displacement begin with a “memorial of expulsion.” In this grand scheme, part of the land’s surface would be literally lifted up on the anniversary of the Nakba each year. Below the ground the plans envision a grand museum space, built in chambers aligned along the six avenues. “I started with the Palestinian map and worked with a kind of ironic representation of destruction, so I divided the map into six regions and started trying to rotate these regions around six routes of displacement,” Mohammad said. 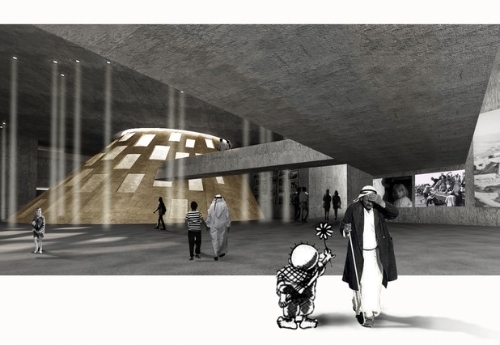 The spaces of the underground museum would each be shaped like one region of the Palestinian map. “I replaced these regions along these six routes directed to Palestinian lands,” Mohammad added. Far from simply memorializing the past, for him these avenues are two-way streets, symbolizing both the flights of the Palestinian refugees from their homes, but also the routes that they will take back to return to the land. And in returning, the fragmented pieces of Mohammad’s map of Palestine would themselves be restored to their rightful order. This subterranean space would be dominated by great cones rising up to the surface of the land and open to the sky. Within them, he wants to hear the voices of Palestinian refugees recorded for oral history projects, telling their individual stories to the world. “Theater of action” In addition to the obvious care and attention which has gone into the architectural planning of the memorial, equal thought has apparently gone into its meaning. Mohammad is sensitive to the danger that to create a monument to something is to place it in the past, to declare it to be a historical event, over and done with. As he is abundantly aware with his parents still in Syria, the Nakba is very much an ongoing catastrophe for Palestinian refugees. “What I did here is just create an environment, an empty space for participants to intervene, to put their own stuff in the space,” said Mohammad. The museum as he envisages it is not “the traditional way of presenting something antique” but a space where people — particularly Palestinian refugees — can come to make their voices heard and to preserve their memories and objects. Mohammad is also alive to the “very strange feeling” of pouring time and effort into planning a project which, in all likelihood, will never be built. “On one level I know this project is really theoretical,” he said. On the other hand, Mohammad’s hopes are that his initiative will “create a new kind of design vocabulary … of concepts and ideas and symbolism,” which can inform how the issue of Palestinian refugees is thought about and represented. It makes sense, therefore, that in the Edinburgh exhibition Mohammad’s work is twinned with Ettizan Ghuzlan’s Damascene Memories, a series of photographs taken before the artist fled Syria. “It’s to do with remote memories of Damascus, expressing the remote memories of a place through photography and architecture,” said Mohammad. The exhibition Al-Nakba Memorial: Palestinian Memories of Displacement is taking place at Tent Gallery, Evolution House, Edinburgh College of Art until 14 October. This article was originally posted on The Electronic Intifada. The UN Works and Relief Agency deplores the violence in Dera’a refugee camp in southern Syria, and said the Syrian ongoing conflict has devastating impact on the refugees' lives. "Initial reports indicate the Dera’a Palestine refugee camp was directly affected by intensive armed conflict on October 12, 2013, alleging that seven Palestine refugees were killed and 15 others injured," the agency said in a press report. Michael Kingsley-Nyinah, Director of UNRWA Affairs in Syria explained: “UNRWA repeats its calls on all parties to desist from conducting armed conflict in Palestine refugee camps and other civilian areas and to comply with their obligations under international humanitarian law”. He stressed that the armed conflict in Syria is devastating Palestinian lives and homes. The pursuit of military solutions to the Syria conflict since March 2011 aggravates the already severe human suffering being endured by Palestinians in Refugees camps, as the Yarmouk camp south of Damascus, which was inhabited by about 150 thousand people before tens of thousands fled seeking safety outside the camp. UFree Network to defend the rights of Palestinian prisoners and detainees expressed its deep concern over the tragic incident that befell dozens of Palestinian and Syrian refugees in the Mediterranean Sea. 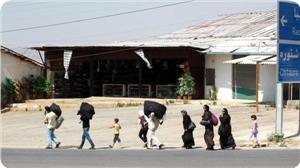 It said in a statement on Sunday that the refugees were fleeing the persistent shelling of their refugee camps in Syria. The statement commented on the sinking of a boat off Malta on Saturday night near the Italian island of Lampedusa, packed with 375 refugees including 100 children. 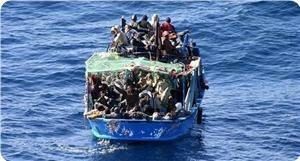 Sources said that unknown Libyan gunmen fired at the boat while sailing near the Libyan coast. 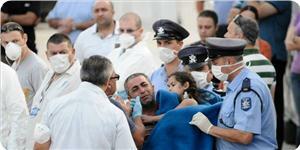 The refugees appealed to Italian, Maltese and Tunisian authorities to rescue them before it is too late. Unfortunately the boat capsized 20 minutes before arrival of the rescue teams. Dozens either drowned or went missing, mostly children. UFree Network called on the international community to bear its responsibility towards the Palestinian and Syrian refugees fleeing war in Syria and to provide them with the needed protection according to article 31 of the international refugee convention of 1951. The Palestinian government in Gaza Strip has called for an international investigation into the sinking and death of hundreds of Palestinian refugees in incidents that took place recently in the Mediterranean sea. The government expressed its deep concern over the tragic incidents to dozens of Palestinian refugees in two boats in the Mediterranean Sea, pointing out to the Palestinian refugees' difficult conditions in different parts of the world especially in Syria where they are subjected to daily shelling, torture, arrests, and continued suffering. The Palestinian government expressed its deep sorrow and grief over the sinking of boats carrying Palestinian refugees and the death of hundreds of them, condemning the shooting against the boat carrying Palestinian refugees. The Palestinian refugees and the right of their return is one of the main Palestinian constants and can not in any way be waived, the government stressed. The government has called on the League of Arab States and the Organization of the Islamic Conference and all the Arab and Islamic leaders to assume their historic responsibility towards the Palestinian people, and to stand by the Palestinian refugees to overcome the successive crises. It also called on the international community and international institutions to secure the lives of Palestinian refugees in every country in the world and provide them with the necessities of life. The government stressed its readiness to receive the Palestinian refugees "We welcome them in their home and among their brothers in the Gaza Strip,"
The government will provide them with assistance, despite its limited resources, it added in a press release this morning calling for concerted efforts to alleviate their plight. "We are surprised with the inability of PA embassies, in the states in where fleeing Palestinians take refuge, to lend a helping hand to them," the government said. 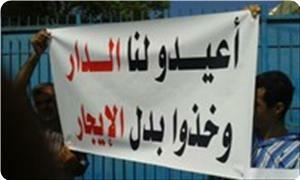 The government called on the Palestinian refugees to stand united till their return to their homeland Palestine. For its part, the Council of Ministers in Gaza expressed its deep concern over the sinking of a boat carrying 375 Palestinian refugees who were fleeing from the continued conflict in Syria. Media advisor to the council, Taher al-Nunu, called on the Arab league to fulfill their responsibilities towards the plight of Palestinian refugees, and take action to put pressure on refugee host states to respect the international law and agreements. The Hamas Movement expressed its grave concern over the tragic humanitarian situation which the Palestinian refugees are living in either in their camps in Syria or areas of refuge. In a press release on Sunday, Hamas stated that large scores of Palestinian refugees were massacred recently in the refugee camps of Yarmouk, Dera'a, Husseiniya and Diyabiya and many others died drowning in the Mediterranean after escaping the horrors of the Syrian war. Hamas warned of the gravity of the continued unendurable suffering of the Palestinian refugees escaping or still living in Syria, especially that most of them are women, children and elders. It reiterated its appeal to the Arab League, the organization of Islamic cooperation and human rights groups to urgently move to save and protect the lives of Palestinian refugees inside and outside Syria, and help them live a decent life. The Action Group for Palestinians of Syria has reported that a ship carrying hundreds of Palestinian and Syrian refugees who fled from Syria drowned in the Mediterranean close to Libyan shores after coming under fire from Libyan side on Friday. The Palestinian Foreign Ministry said that it is following the developments and contacting all related authorities to ensure rescue operations for surviving refugees. The BBC has reported that shot were fired at the ship as it left Libyan shores, and that bullet holes caused the boat to sink. It added that 33 refugees died in the attack, and that the incident just comes one week after more than 350 migrants were killed in a shipwreck near Lampedusa Italian Island. The Palestinian Foreign Ministry said that President Mahmoud Abbas instructed it and all related institutions to closely monitor and aid rescue attempts, and that Foreign Minister, Riyad Al-Maliki, formed a committee operating in the Palestinian embassies in Libya, Malta, Italy and Egypt. The committee will be working around the clock in direct communication with Italy, Malta and Libya. Palestinian Ambassador to Malta, Jubran Taweel, stated that the Maltese Navy has rescued 147 persons, including 40 Palestinian refugees who fled Syria, and the Italian Navy has rescued around 57 refugees. Taweel added that he went to a Maltese hospital and refugee center, where the surviving victims were moved to, and that he is in direct communication with all related authorities to observe rescue efforts. According to the Action Group for Palestinians of Syria, the ship started sinking after it came under fire from Libyan gunmen late on Thursday evening [October 10] but continue to sail until Friday at dawn. It added that all communications with the ship were lost since then, and the disaster was only uncovered on Sunday evening. One of the survivors told in Malta said that the ship was targeted by Libyan navy fire, and that two refugee were shot and injured, but the ship continue its path until its engines completely stopped, and it started to sink. The ship left Libyan ports after the refugees who fled Syria due to the war and insecurity, faced similar circumstances in Libya. Surviving refugees urged all related international institutions and groups, the International Red cross, to save their relatives, as dozens are still missing. Member of the Executive Committee of the Palestinian Liberation Organization (PLO), head of the Refugees Department, Zakaria al-Agha, said that this incident is another indication of the suffering and miserable conditions the refugee face. He added that on October 11 2013, a ship carrying refugees drowned close to Alexandria Port in Egypt, leading to the death of 12 persons, including two Palestinian refugees. Al-Agha told the Palestine News Network (PNN) that the Palestinian refugees in Syria face very difficult conditions due to the ongoing conflict, and that refugee camps in Syria have been repeatedly bombarded. He further stated that dozens of thousands of refugees left Syria to nearby Arab countries, leaving everything behind and endangering their own lives in search for refuge and safety. Al-Agha confirmed to PNN that surviving refugees said that, identifying themselves as Libyan Navy, gunmen in civilian clothes opened fire at the boat causing it to drown. He demanded Libya to investigate the incident. A Palestinian group in Syria said Sunday that over 200 Palestinians were aboard a boat which capsized off Malta's coast on Friday. At least 33 people perished after the boat sank on Friday, a week after another shipwreck off Italy left at least 359 dead, prompting Malta to warn that the Mediterranean was becoming "a cemetery." Citing survivors' accounts, the UN refugee agency spoke of several injured passengers, saying shots were fired "perhaps by militiamen who shot to kill." Molhake al-Roarsan, 22, interviewed by Italy's La Stampa daily, said three people had bullet wounds in the arms and legs. "There was a furious fight, screaming on the radio and on the phone with someone who demanded that we return to land, but the captain did not stop." A staggering 6.2 million Syrians have been torn from their homes -- a number without parallel in any other country and representing nearly a third of Syria's pre-war population of 20.8 million. 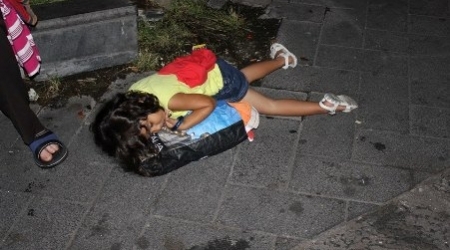 In September 2012, at least 61 migrants, including Palestinians and Syrians, more than half of them children, died after their overcrowded boat sank just tens of meters off Turkey's western Aegean coast. Four human rights organizations condemned the Italian authorities' crucial way in dealing with Palestinian and Syrian asylum seekers. Euro-Mid Observer , Palestinian Return Center, and Action Group for Palestinians in Syria issued a statement on Saturday denouncing the fail of Italian immigration system in dealing with asylum seekers. Code of Conduct for Law Enforcement Officials stated on article 2 that law enforcement officials shall respect and protect human dignity and maintain and uphold the human rights of all persons, and may use force only when strictly necessary and to the extent required for the performance of their duty. It also stated in article 6 that Law enforcement officials shall ensure the full protection of the health of persons in their custody and, in particular, shall take immediate action to secure medical attention whenever required. Article 31 of the Refugees Conventions stated that he Contracting States shall not impose penalties, on account of their illegal entry or presence, on refugees who, coming directly from a territory where their life or freedom was threatened in the sense of article 1, enter or are present in their territory without authorization, provided they present themselves without delay to the authorities and show good cause for their illegal entry or presence. The Contracting States shall not apply to the movements of such refugees restrictions other than those which are necessary and such restrictions shall only be applied until their status in the country is regularized or they obtain admission into another country. The Contracting States shall allow such refugees a reasonable period and all the necessary facilities to obtain admission into another country. The statement stressed the responsibility of the Italian government for granting asylum to Palestinian refugees from Syria, "Those who arrived in Italy by sea, should be granted refugee status under Article (1) of 1951 Refugee Convention." A young Palestinian man killed on Thursday in shelling on al-Husayniyah refugee camp in Syria, a local group said. 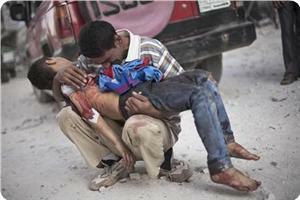 The Taskforce for Palestinians in Syria identified the victim as Ibrahim Hamzeh. For the third day in a row, al-Husayniyah refugee camp has been subjected to heavy and violent shelling on different areas. The shelling has caused significant damage, and regime forces have tried to enter the camp. Palestinians in the camp are complaining about lack of food and medications due to a blockade imposed on them by the army. The army closed all the entrances and the exits of the camp two months earlier. In Yarmouk camp, in Damascus, a state of calm ended abruptly with clashes between rebels and regime forces using light weapons. Early in the evening, the camp was subjected to shelling. Missiles targeted Jalal Kawash street, but only material damage was reported. Two days earlier, Hussam Othman from al-Aideen refugee camp in Homs was detained at a checkpoint. Rafiq Shawish, from Handarat refugee camp, was freed after three days of detention. Abbas Zaki and Bashar Assad met to discuss Palestinian refugees in Syria. 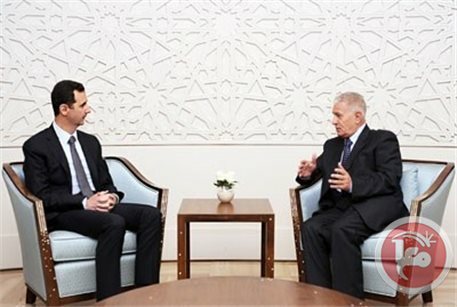 Palestinian and Syrian leaders will cooperate to protect Palestinian refugees remaining in Syria, Fatah leader Abbas Zaki told Ma’an on Wednesday. Zaki, a member of Fatah’s central committee, met with Syrian President Bashar Assad last week. The two leaders discussed possible solutions to Syria’s two-and-a-half-year-old crisis along with issues such as refugee camps and Palestinian prisoners in Syria, Zaki said in a telephone interview. “We agreed to create safe passages to refugee camps,” Zaki said. He added that Palestine’s policy of non-intervention in internal Syrian affairs had protected Palestinian refugee camps within Syria from attacks by government forces. Although Syrian rebels have entered camps in the past, Zaki said, the Syrian army has not. “The circumstances of refugees in Syria are very difficult,” Zaki said, pointing to Yarmouk camp, the largest Palestinian refugee camp of the 14 in Syria, as an example. Over 700,000 refugees emerged from Palestine in the aftermath of the Arab-Israeli war and the creation of the State of Israel in 1948. According to UNRWA, there are over 5 million registered Palestinian refugees. Action Group for Palestinians in Syria announced on Tuesday the death of seven Palestinian refugees in Syria in the last week. Muhannad Abu Jurouh died in a shelling at Dara' camp by Syrian regime army, Ahmad Zahir and Samer Brdhua'h died from torture in Syrian regime detention, the group said. The group also reported that Eng. Ahmed al-Khateib and Zain al-Mslamee died in clashes erupted between the Free Syrian Army and Syrian regime army in Dara' . A sniper shot to death Mahmoud Derbas at Yarmouk refugee camp and Shehab Ahmed in Jaramana camp, the group added. Hamas movement has called for urgent moves to lift the siege imposed on Palestinians in the Yarmouk refugee camp, south of Damascus, for more than 90 days. Hamas said in a press release on Wednesday “We are following up with pain and anxiety the suffering of Palestinian refugees in Syria including murder, siege, displacement, and difficult living conditions”. Hamas strongly condemned the shelling of refugee camps and besieging them, which threaten the lives of thousands of refugees mostly women, children, and elderly people. It said that the refugees were threatened with death by shelling, illness or starvation. 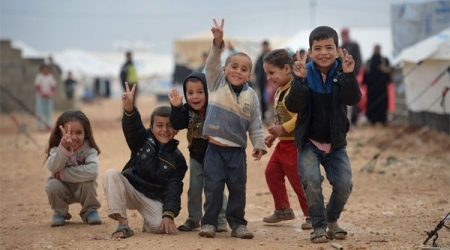 The movement re-asserted that the Palestinian refugees are not party to the conflict in Syria. Hamas asked the Arab League, the Organization of Islamic Cooperation, and human rights groups to assume their duties in protecting the refugees in Syria and to provide a dignified life for them in the countries to where they were forcibly evicted. Throngs of Palestinian refugees in the Gaza Strip have held protests against recent aid cuts by the UN relief agency, Press TV reports. The Gaza Strip has been under a land, naval and air blockade by Israeli forces since 2007, causing the coastal enclave’s refugees, who constitute some 70% of the 1.7 million population, to depend on international aid for their basic needs. Meanwhile, the UNRWA rejects that they have made cuts. But the Palestinian refugees see it differently. “UNRWA is not telling the truth, they are cutting people off. And UNRWA services have deteriorated both in health and education for Palestinian refugees. Reducing or cutting aid while people of Gaza are under Israeli embargo will only increase the suffering,” said an official from the Popular Front for the Liberation of Palestine, according to Press TV. In 2010, after Israel's assault on the Gaza Freedom Flotilla in international waters, which killed nine civilians, Tel Aviv eased slightly the land blockade of Gaza, allowing more consumer goods to enter. The naval siege of Gaza, however, has remained constrictive, exports are banned, and imports of raw and construction materials are restricted. Since the beginning of the siege in 2007 the situation there has declined in the standard of living, and caused unprecedented levels of unemployment, and unrelenting poverty. Dozens of Palestinian refugees staged a sit-in south of the Gaza Strip on Sunday to protest the reduction in UNRWA services. Participants hoisted placards calling for the introduction of a program to measure poverty line, denouncing reducing services to the poor while the foreign workers receive hefty salaries. 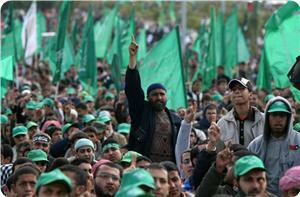 They chanted anti-UNRWA slogans and warned of a revolution for the poor. For its part, the popular front for the liberation of Palestine lashed out at the UNRWA policy of reducing services to refugees, adding that the international agency had crossed all red lines. The PFLP charged, in a press release distributed during the sit-in, that UNRWA was declaring war on rights of refugees, warning of a popular outrage among the refugees against UNRWA and its policies. 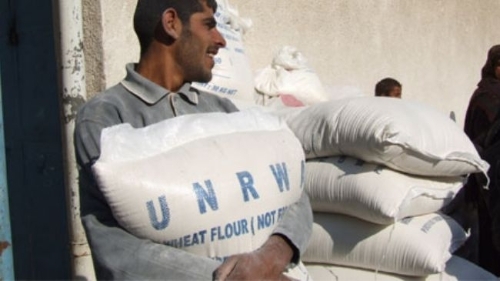 The PFLP urged UNRWA to immediately backtrack on its “oppressive decisions” and the policy of reducing services. Two Palestinian refugees who died in the ongoing Syrian crisis last week have been identified by a Palestinian group. The workforce for Palestinians in Syria said in a statement Saturday that the victims were from Khan al-Sheikh in the outskirts of Damascus and Deraa refugee camps near the borders with Jordan. 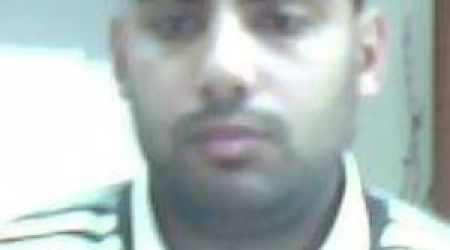 Samir Theib Barthua, from Khan al-Sheikh, died of torture in custody, the report added. Khalid Ahmad Othman from Deraa camp died on Sept. 27 in a hospital in Ramtha in Jordan. He succumbed to critical wounds after he was hit by a gunshot to the head and was evacuated to Ramtha hospital. 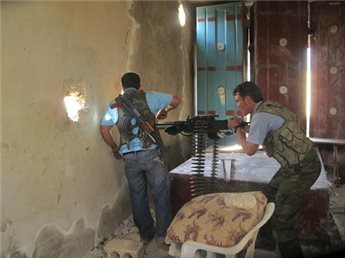 The statement added that farms in the outskirts of Deraa camp were bombarded Friday by the Syrian army. The Yarmouk refugee camp in Damascus, according to the statement, has been besieged by the Syrian forces for more than 80 days, and nobody have been allowed to leave the camp during the siege. 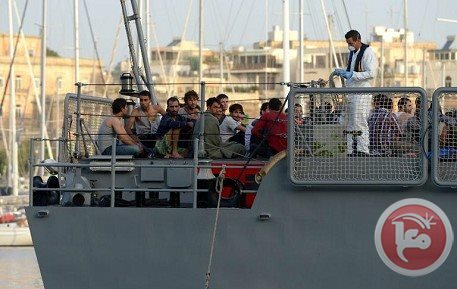 The Italian police and coast guard took on Friday a group of Palestinian refugees, who fled the Syrian war, aboard a boat to the shores of Sicily. According to a media source, the Italian coast guard rescued about 100 Palestinian refugees, mostly children, after their ship settled on the coast of Lampedusa Island. The UNHCR reported that the number of Palestinian refugees fleeing the Syrian war to the southern coasts of Italy has reached over 4,600 people during the current year, 3,000 of them came to the country during last August. The Working Group for Palestinians in Syria has announced that 74 Palestinian died after suffering severe torture in Syrian prisons. In a press release, spokesperson of the group Tariq Hamoud also said that the humanitarian situation in the Palestinian refugee camps in Syria is going from bad to worse. Hamoud said that the number of Palestinian refugees killed since the beginning of the conflict in Syria had reached 1,597, in addition to 651 others lost or imprisoned. According to Hamoud, what makes the situation even "more tragic" is the absence of regional and international action to help the refugees. He also said that there are no "notable" measures being taken by the Palestinian leadership regarding the Palestinian refugees in Syria. He added that the United Nations Relief and Works Agency for Palestine Refugees (UNRWA) has no real presence on the ground to support the Palestinian refugees in Syria. Hamoud explained that, "More than 150,000 Palestinian refugees have left Syria, heading to different destinations. About 30,000 arrived in Europe and 120,000 are distributed between Lebanon, Jordan, Egypt, Libya and Turkey, and a few in other countries around the world." Regarding the legal procedures, Hamoud noted that the Palestinian refugees leaving Syria face "the worst treatment" in the Arab countries. Describing the situation on the ground, Hamoud said: "Al-Yarmouk Refugee Camp has been under strict siege for more than 77 days and residents there are suffering severe shortages of food because the Syrian regime prevents aid organisations from working inside Syria." He noted that the only food aid that has reached the refugees was that of the European Al-Wafa Convoy. He stressed that the situation for all the Palestinian refugees in Syria is very bad, "but Al-Yarmouk is the worst." At the end of the press release, Hamoud called upon the Palestinian leadership and UNRWA to take on their responsibilities towards the more than 1.5 millions Palestinian refugees in Syria. 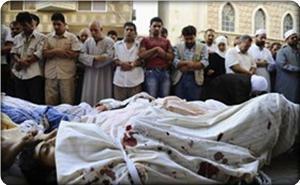 Three Palestinian refugees were killed in Syria during clashes on Tuesday, a local group said. The Workforce for Palestinians in Syria said Ahmad Hussain Thaher, from Khan al-Sheikh camp, died while being imprisoned by Syrian government forces. Ahmad al-Khatib, from Tel Shihab in Daraa village, and Zein Fayez al-Masmali, from Daraa refugee camp, were killed in clashes between the Free Syrian Army and Syrian regime forces. 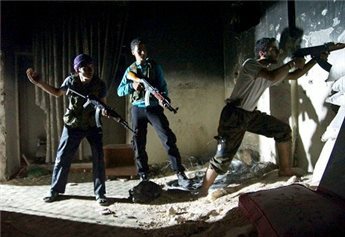 There were heavy clashes late Tuesday between Free Syrian Army forces and Syrian government troops in Yarmouk camp, the group said. The Syrian army has imposed a blockade on the camp for 77 days in a row, and there has been no electricity or fuel in the camp for months. In March, the Action Group for Palestinians of Syria said that over 1,377 Palestinians had been killed in the ongoing Syria conflict, with that number thought to have increased significantly since then. Last week, a senior Fatah official said that some 250,000 Palestinian refugees have been forced to leave their refugee camps in Syria due to violence in the country. 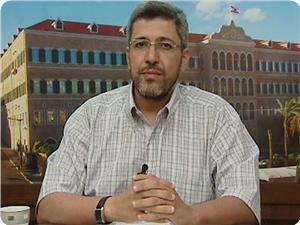 Yaser Ali, director of Hamas's office for refugee affairs in Lebanon. Yaser Ali, director of Hamas's office for refugee affairs in Lebanon, appealed to the Lebanese authorities to deal with the Palestinians fleeing from Syria to Lebanon as refugees. In a press statement to the Palestinian information center (PIC), Ali warned that the Lebanese authorities are working on reducing the number of Palestinians who fled to Lebanon from Syria. The Hamas official affirmed that the UNRWA lately conducted a census of the Palestinian refugees who fled the Syrian war to Lebanon and found out that they number 45,000 people after they were 82,000 in the last count. The Hamas official also said that the Lebanese authorities also decided to prevent as many Palestinians as possible from entering Lebanon. He noted that there is also a high racist tone against the Palestinian refugees in Lebanon, expressing his belief that the political alliances in Lebanon are no longer governed by the major national issues, like the Palestinian cause. He affirmed that the Lebanese parties who advocate the Palestinian cause have become allies of those who antagonize the Palestinians and state racist positions against them. The Working Group for Palestinians in Syria said that 1597 Palestinians were killed in Syria since the outbreak of the revolution, most recently was the killing of eight Palestinians between 21 and 27 September. In its statement issued on Tuesday, the group said that three Palestinians died under torture in Syrian regime's detention centers and another one was killed after being injured in shelling in Khan Sheikh Refugee camp. Four other Palestinians were killed, including two from Draa refugee camp after it was bombed on Monday. Meanwhile, the Yarmouk Refugee Camp has been subjected to heavy shelling leading to several injuries among the refugees, while no casualties were reported during the shelling of Khan Sheikh camp. The group pointed out to the difficult humanitarian situation experienced in the Palestinian refugee camps in Syria due to the continued blockade imposed by the Syrian regime and elements of the Popular Front for the Liberation of Palestine – General Command. The Working Group also noted that Yarmuk camp's siege has been imposed for three months, during which the Syrian regime forces, stationed at the camp's entrances, have been preventing the entry of food and medicine supplies. Palestinians living in Sbina, Husseinia and Draa refugee camps are also suffering the same humanitarian situation, while Neirab camp has been deprived of electricity supply for more than a year in addition to food and drug shortages. Handarat refugee camp has been also experiencing power cutss for several hours on a daily basis, and continued siege by the Free Army Forces, the statement continued. Regarding the arrests, the Working Group said that the Syrian regime forces have arrested two Palestinians including a minor during September, while released another Palestinian after being arrested one year ago from his workplace.